Q; My elbow has started to hurt after frequent gardening. What did I injure and what can I do to decrease pain? A; A common overuse injury occurring at the elbow is tendonitis. This is basically an inflammation of the tendons that attach to either the inside portion of the elbow [medial epicondylitis], also called golfer’s elbow, or the outside portion of the elbow [lateral epicondylitis], also referred to as tennis elbow. Both conditions are typically caused by excessive gripping, repeated wrist movements [i.e. hammering], or pulling/lifting. The initial treatment and easiest care for you to do at home would be to decrease the tissue irritation by using ice or a cold pack. During physical therapy, modalities such as ultrasound and electric stimulation can also be utilized to achieve an anti-inflammatory response. Manual treatment can then be initiated to begin tendon healing by using soft tissue mobilization, cross friction massage, and dry needling techniques. Improving wrist flexor and extensor muscle flexibility, as well as gradually increasing wrist, forearm, and elbow strengthening would be the final step in the rehabilitation process. A physical therapist can evaluate, diagnose, and treat this issue as well as many other upper extremity overuse injuries. 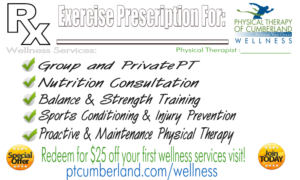 Should you have any further questions regarding this or any other injury, please contact Physical Therapy of Cumberland at 401-333-9787 to speak with one of our experienced therapists.